In this week’s edition, we get cautiously optimistic about BTC’s recent jump, explain why it could very well be headed much higher, review new words to come from head honchos at the SEC, and explain how one of the biggest disasters in the history of bitcoin may be able to finally right itself. Bitcoin and the rest of the market got a sorely needed bump last week, finally putting to rest weeks of down or sideways movement. BTC ended the week up 6%, helped by a healthy $300 jolt on Friday. It reached a local high of $3,800 on Bitfinex, before sinking down some to its current exchange average of $3,650. All in all, nearly $8 billion was added to the total coin market cap in what was decidedly an up week for crypto, with Litecoin (LTC) emerging as the biggest winner with a 30% gain, up for its 6th week in a row. Bitcoin analysts are currently eyeing the $3,800 level, which is a key area of resistance, and if passed, the hope is that BTC’s next stop will be somewhere around the $6,000 point. The main reasoning behind this rationale is that since there wasn’t much resistance between $3,800 and $6,000 last time bitcoin experienced this climb, there probably won’t be the next time. Bullish on BTC’s immediate future is the billionaire CEO of Binance, Changpeng Zhao, who said in a tweet last week that bitcoin was “still at the beginning of the beginning” of its revolution, putting to rest the fears of those who feel they might be getting into the game too late. Another poignant tweet noted how much psychology comes into play during the decision-making process of the average bitcoin investor, pointing out how FOMO, or “fear of missing out” drives irrational optimism, while extended bear markets can drive irrational pessimism when it comes to making an investment. Everybody rushed in to the market to buy $BTC above $15,000. Everybody scared to buy $BTC now at $3,000, while the progress is steady and strong and the fundamentals are getting better. 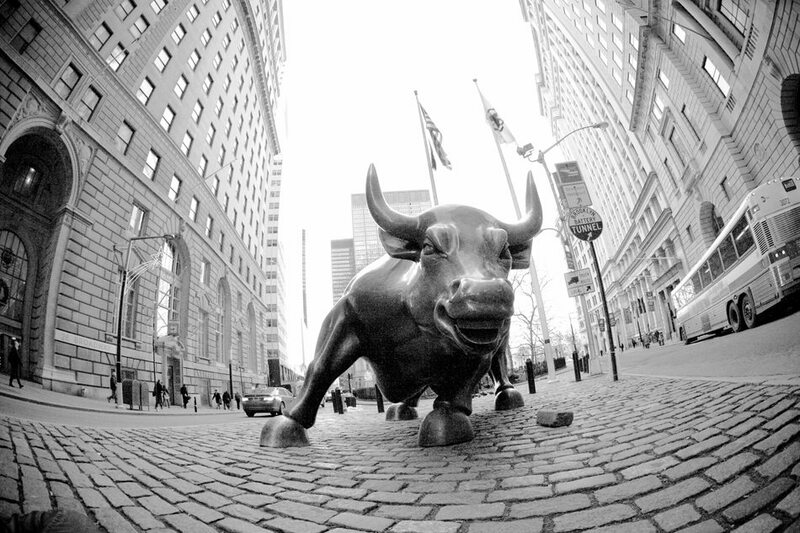 The psychology of the market. It’s beautiful. An oft-discussed catalyst for this propulsion could be a positive decision by the SEC regarding a Bitcoin ETF, which would open bitcoin to institutional traders who are more comfortable making trades on a classical, regulated stock exchange (such as the NYSE). A positive indicator indicating this idea might someday become a reality was SEC Commissioner Robert J. Jackson’s recent comments that he thought the reality of a Bitcoin ETF was imminent. Though he failed to specify exactly when this would take place, his opinion was that cryptocurrency was well on its way to becoming a legitimate financial instrument and that proper steps toward a crypto-based ETF approval were well on their way. The world’s first major bitcoin exchange, MtGOX, closed its doors to customers in February 2014 without warning, taking around 6% of the total bitcoin in circulation at the time with it. When all was said and done, approximately $450 million worth of BTC had gone missing, with very little chance for its recovery. Investors and traders with significant balances trapped in the exchange were outraged, and calls for lawsuits against CEO Mark Karpeles quickly mounted, culminating in his arrest and imprisonment in 2015. Even though Karpeles was released on bail in 2016, one of the conditions of his release is that he remain in Japan, where he currently resides. Karpeles, no longer part of MtGOX, has always maintained his innocence, first blaming the loss of his customer’s bitcoins on the bitcoin software itself (due to a fictitious “bug” called “transaction malleability”), then to an unsubstantiated hacking incident. For years, all hope seemed lost for those caught up in the scandal, until recently when plans for a re-birthing of MtGOX came to light. Assets still held in the possession of the failed exchange have ballooned exponentially in price since its collapse and may actually be enough to pay back as much as $1.2 billion to investors and traders. The move is being branded as a “civil rehabilitation,” designed not only to restore funds to those who lost upon the exchange’s closure, but also help restore the reputation of the exchange itself. 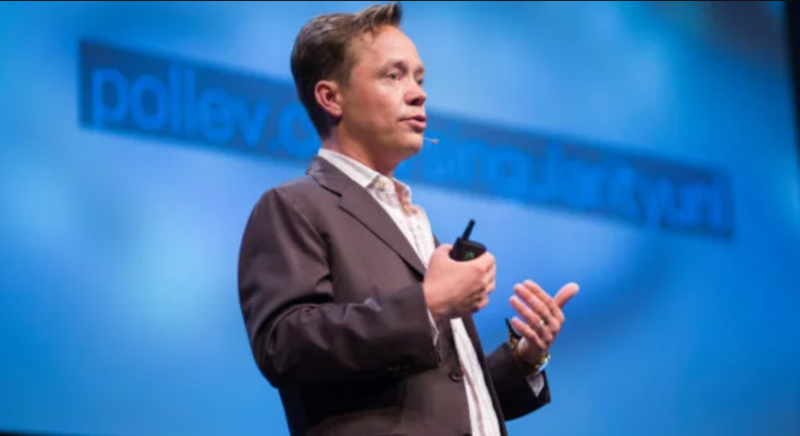 Plans for the revival are spearheaded by MtGOX’s owner since 2014, Brock Pierce. A former childhood actor-turned-bitcoin-billionaire, Pierce has had ties to bitcoin since its early days and ran an online game-based digital currency exchange for several years prior to becoming absorbed in cryptocurrency. 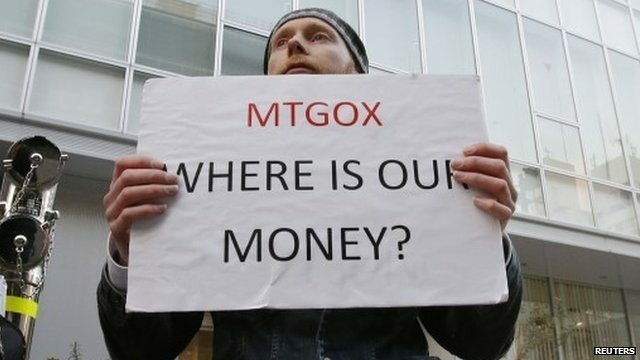 In addition to restoring the credibility of the MtGOX brand, the exchange will also generate revenue to pay off outstanding claims not covered by its current holdings, not only through exchange fee revenue but also by the issuance of their own cryptocurrency, “Goxcoins,” to be distributed to its victims. To legally operate as an exchange, MtGOX must first obtain a license from Japan’s Financial Services Agency, which might prove to be a slow-moving process, as the conditions surrounding GOX’s revival are complicated and bogged down with legal matters. For one, regulators must be assured that measures have been put in place that would prevent a repeat of the exchange’s last debacle, which is still regarded as the largest scar on bitcoin’s general reputation. Another factor is an outstanding legal claim by bitcoin startup incubator CoinLab, which recently revised the damages claimed in its lawsuit from $75 million to an incredible $16 billion, while also making the case that it should be paid out by existing MtGOX funds ahead of the exchange’s victims. CoinLab was set to enter into a partnership with MtGOX in 2013 which failed to materialize, ultimately leading to the filing of the lawsuit. CoinLab claims that the considerable appreciation of the price of bitcoin is the reason why the amount they were seeking had to be revised so drastically, but whether or not this claim will hold water in the courts remains to be seen. Long-standing Canadian exchange QuadrigaCX stopped processing withdrawal requests early last week as news came to light that its founder and CEO – responsible for holding a vast sum of the exchange’s reserves on his laptop – had passed away in India, and failed to reveal the password to his laptop or wallets to a second source. In what is truly a bizarre, first-of-its-kind story, thousands of customers are simply out-of-luck until it can be determined how to access the funds kept on the deceased CEO’s laptop. It is speculated that the computer contains the private keys to 26,488 BTC, 11,378 BCH, 11,1450 BSV, 35,230 BTG, 199,888 LTC and 429,966 ETH – about $180 million worth of cryptocurrency in total. In the Philippines, a major bank just launched some of the country’s first two-way “virtual currency ATMs” in an attempt to help spread the popularity of cryptocurrency in the country of 100 million. The Philippines is home to one of the most popular bitcoin wallet services in the world, Coins.ph, which services over 10% of the country’s population with mobile wallets. The machines will allow users to both buy and sell a few different major cryptocurrencies. Cryptocurrency is already becoming widely popular in the Philippines as a means to avoid hefty remittance fees paid by overseas workers, who are the country’s primary source of revenue generation. Is a generational shift what bitcoin needs to become a truly global currency? According to a short but thought-provoking article on Micky.com, the answer is “yes.” After all, the next, upcoming generation of new adults will have lived in a world where they only knew the internet, and for the most part being connected to it at all times. Compared to the blazing speed of systems they witness online, the banking system is extraordinarily clunky and outdated, and they might naturally look to things like cryptocurrency as means for its replacement. In short, a changing of the guard could very well be the factor that permanently lifts crypto into the mainstream. A new, sophisticated form of app scam found its way onto the Google Play Store recently, which inadvertently allowed a copy of the popular Ethereum bridge MetaMask to be available for download. The malicious app, which was downloadable to Android devices before being pulled, contained a program known as a “clipper” which replaced addresses copied to the clipboard with those belonging to hackers, as well as stealing login credentials to popular wallet sites. Is Captain James T. Kirk, aka William Shatner, up on the Lightning Network? It would appear so, after he tweeted out an invoice for a Lightning Network transaction that suggested he was actually running a LN node. The tweet was in response to one sent to Elon Musk, who also seemed to be LN-ready. Whether or not Shatner is actually running an LN node has yet to be confirmed, but stranger things have happened in the 86 year-old actor’s career.